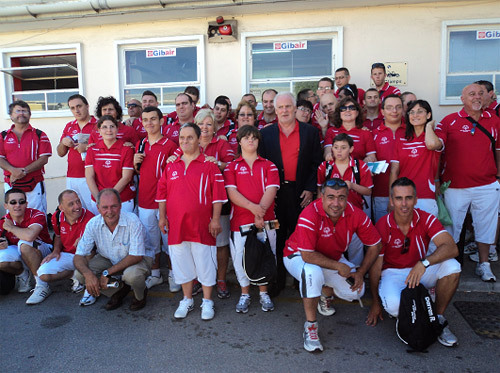 Team Gibraltar flew out on Saturday morning, 18th June on their excited and happy way to the World Summer Games in Athens, Greece. A 40 strong contingent, the highest number ever to attend Games were sent on their way by the Minister for Sports and Leisure, the Hon Edwin Reyes. Gibraltar’s participation at these Games will be a special and proud moment for our Athletes families and friends, and this in reality means everyone back home on the Rock. In honouring our Athletes we have chosen to profile Malcolm Miel as the embodiment of the spirit of Special Olympics. His story demonstrates the courage, determination, learning of new skills and the sharing of joy with family, friends and the community at large which is shared by all athletes of whom our founder, Eunice Kennedy Shriver said; Special Olympics offers people with intellectual disabilities, everywhere, the chance to play, the chance to compete and the chance to grow. That he will have been at the Games at all is a testament to his courage and tenacity of spirit which has helped him weather so many challenges in his young life. His commitment to being a Special Olympics athlete has given him a place to go, something to do and make friends. His words speak volumes about the years he was feeling ‘lost’ when no one, least of all himself knew what he wanted, though the need to ‘belong to something’ was strong in him. Malcolm will celebrate his 35th birthday on 3rd July, the penultimate day of the Games in Greece, and then it is back home to Gibraltar and shortly after that a visit to UK for one of his medical check ups. 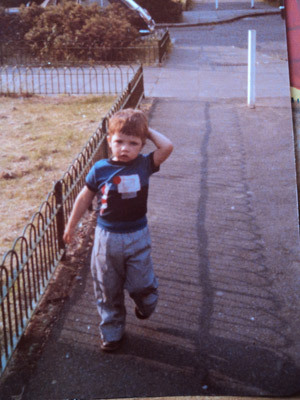 From the day of his birth, his mother Susan knew there was something wrong, and so began the heartache years before as diagnosis was finally arrived in UK when he was around twelve years old. 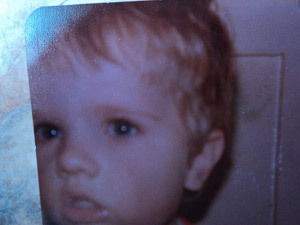 Myotonic Dystrophy, two words which shed light but did not effect a cure as his mother so hoped for. He has a form of muscular dystrophy (wasting) which affects muscles and many other organs of the body. This is an inherited disorder, and Susan, along with Malcolm’s two brothers have all been diagnosed with this to varying degrees. Malcolm left school at fifteen years old, barely able to read or write after disrupted years of Dr’s visits, being able to walk only tip toes and often wearing a supportive brace, enduring his feet encased in plaster of paris to help straighten them, and when this did not work it was off to UK for more of the same. He could and did ride his bicycle everywhere but yearned to play football like his brother Miguel, also a Special Olympics athlete. He was now twenty four years old and as cycling was offered in Special Olympics he went along and learned to swim! This was to herald the end of his ‘lost’ years as he found an outlet for his energies in swimming and athletics despite needing several operations on his feet as the tendons were pulling and restricting growth. He continued to train and dream and last year at the European Summer Games in Poland he achieved a third place Bronze medal in his 50mt sprint. He had made his dream come true. In between all of this he suffered a femoral blood clot and is now on Warfarin (blood thinning drug) for life. His heart gave trouble and he has been fitted with a cardiac pacemaker, but his spirit never faltered. He is back and forth to hospitals for operations and check ups, and yet he can be found in the swimming pool, on the track, and at Bocce, training for competition in Athens. 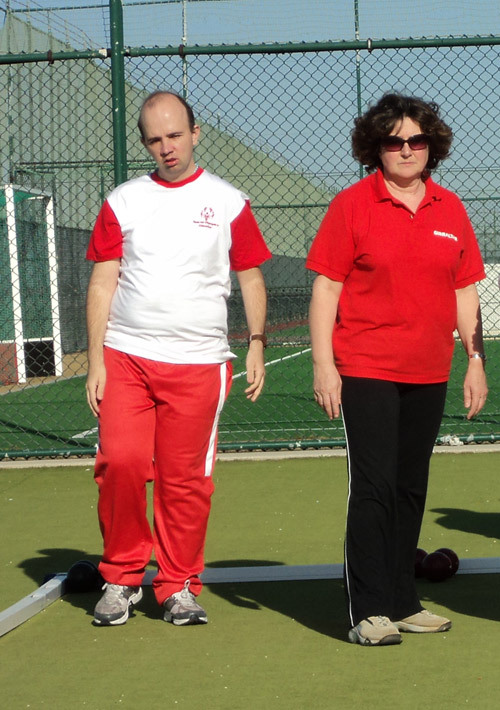 This will be the first time Gibraltar has been represented at this sport in World Games. In between all of this he has fitted in a gall bladder operation! He only speaks of what he can do, what he wants to do, never what he cannot do and his mother agrees that Special Olympics is the best thing that ever happened to us. 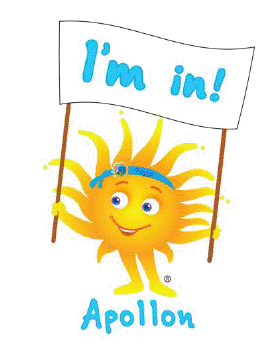 This cheerful little f ellow portrays the motto for the Games delivering a dynamic message of optimism and determination which captures Malcolm’s passion for life. It also epitomises the true spirit of Special Olympics which he has demonstrated over and over again. He is not alone; his story could be any one of millions of athletes all overcoming, all striving to be the best, all united under the encouraging banner of Special Olympics. However, it is his unique story of triumph and he has been ‘brave in the attempt’. His serious sense of purpose has demonstrated the principles of dignity and equality which makes us all equal. Malcolm and Bocce coach Paola Poggio. A commemorative booklet has been issued on the occasion of the World Games paying tribute to all the Athletes taking part. Please read it here.